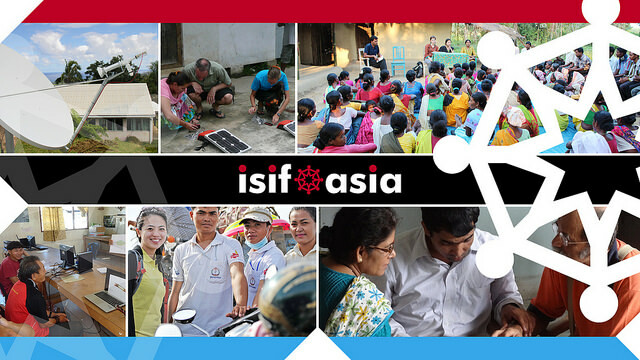 2014 has been a busy year of the ISIF Asia program with awards, grants and capacity building activities been supported around the AP region. Here is a summary of what we have done in 2014. 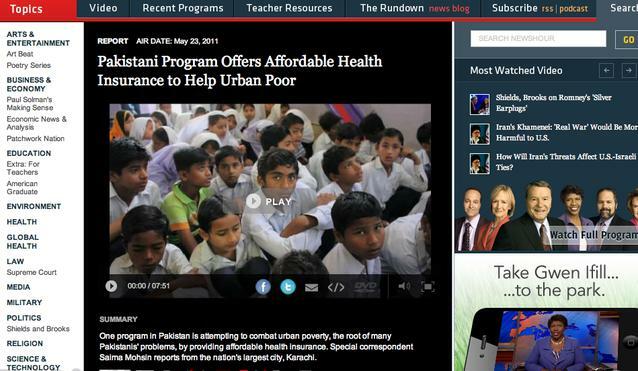 During 2014, 5 awards of AUD 3000 were given to very interesting projects from Bangladesh, Malaysia, Philippines and Vanuatu covering very relevant issues were Internet technologies make a difference for community development, such as educational resources for people with disabilities; accountability and transparency for government; maternal health; access to remote islands and skills development for the poor. 4 award winners were selected out of the 93 nominations received from 16 economies. The Selection Committee approved 34 nominations for full review and opened them up for the community to cast their vote to select the Community Choice Award winner. 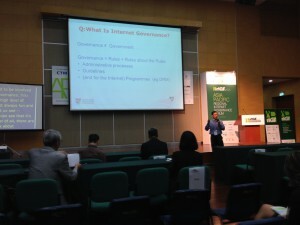 Besides the cash prize, the award winners were invited to attend the 9th Internet Governance Forum (Istanbul, Turkey. 2-5 September 2014) where the ISIF program organized 2 events (preIGF workshop and awards ceremony) where the award winners had the opportunity to share their experiences, their challenges for the future. The ISIF Asia helped them organized a pack agenda to actively participate and contribute to the discussions about the future of the Internet. This year it was particularly interesting as the work done to contact session organizers was successful and the award winners were invited to be part of panel discussions as speakers and their comments and views were included in the reports. As part of the Seed Alliance support, ISIF Asia led the development of a workshop proposal that was accepted by the MAG for inclusion in the official IGF program. 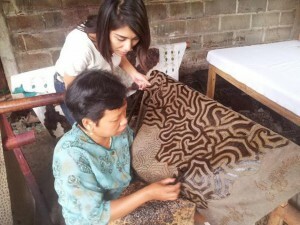 A follow-up of the work conducted during the IGF in Bali, the workshop No. 7 “From ideas to solutions: Funding challenges for Internet development” raised the funding challenges that many organizations faced when trying to deploy Internet related projects, and the variety of mechanisms that are now available that require a very rapid adaptation from practitioners in the field to address problems from a business perspective. APRICOT – Asia Pacific Regional Internet Conference on Operational Technologies, February 2014 / https://2014.apricot.net. ISIF Asia supported the participation of Sheau Shing Chong, Teddy Mantoro, Tariq Zaman and Khairil Yusof. School on Applications of Open Spectrum and White Spaces Technologies, Abdus Salam International Centre for Theoretical Physics (ICTP), March 2014 / http://wireless.ictp.it/school_2014/index.html. ISIF Asia in collaboration with ICTP supported the participation of Apinun Tunpan, to share intERlab experience as part of the case studies session. ICANN 49 Singapore, March 2014 / http://singapore49.icann.org/en/schedule-full. 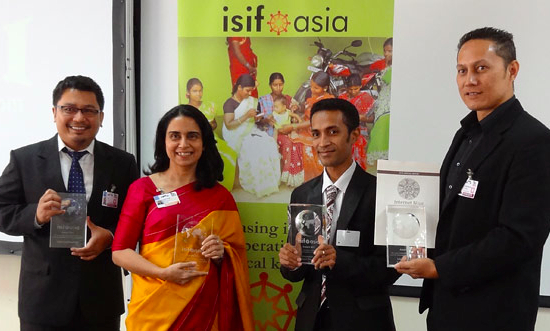 Sheau Ching Chong, Teddy Mantoro and Mashiur Rahman where selected as ISIF Asia Ambassadors, sponsored by the ICANN Asia Hub (Singapore). 11th IEEE International Conference HONET. Charlotte, USA. December 2014. http://honet-ict.org. Shamila Keyani from UM Health Trust in Pakistan has been invited to present the results of their ISIF supported project “Hepatitis Surveillance System for rural Pakistan through web and mobile based technologies”. During 2014, we have seen the completion of many of the 2013 grant recipients. 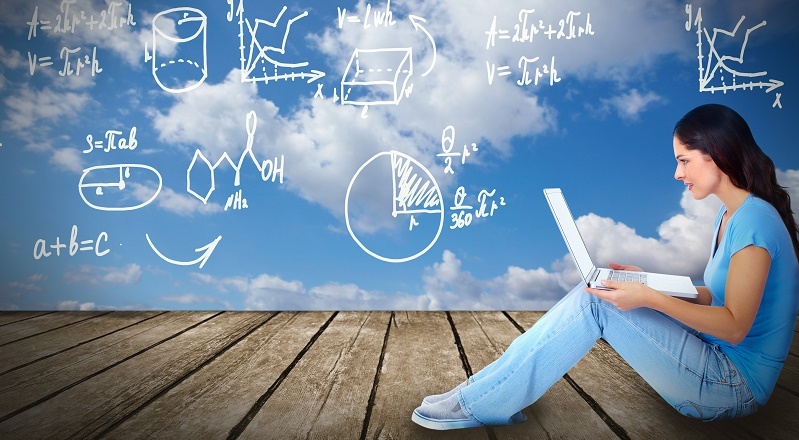 Projects addressed major societal concerns and demonstrated the transformative role that information and communication technology (ICT) can have in emerging economies. This summary of 2013 grant recipients and their projects are examples of the kind of partnerships that ISIF encourages and supports. The University of Dhaka in Bangladesh has developed a prototype for an automobile-based system that alert distracted drivers to their dangerous conditions. This system employs audio, visual, and medical-grade health sensors to determine the level of distraction a driver is experiencing. In the Philippines, ACCESS Health International has created an integrated maternal and child health care delivery and training program. The interactive Community Heath Team project, or iCHT, is an automated healthcare application that offers access to resources and tele-consultation at the point of care. Another health effort, led by the UM Heath Trust in Mardan, Pakistan, helps Rural Health Workers track outbreaks of Hepatitis A and E, and focuses on providing Hepatitis information to women. This platform uses Google Maps and SMS/MMS for outbreak reporting, and can be used for other disease and emergency management communications. The PIPA project, from the Binus University in Indonesia, a cloud-based application that allows home energy usage data to be collected and monitored by households in order to teach citizens how to increase their energy efficiency. This will not only lower their electrical costs, but create less strain on the expensive and stressed national electrical infrastructure and decrease blackouts. Due to rapid emerging socioeconomic conditions, Myanmar is in dire need of updating its telecommunications infrastructure while creating a technical workforce in country to manage this capacity. The ISIF grant enabled First Myanmar Korea Group Co. Ltd. to translate one of the leading books on wireless networking in the developing world into Myanmar. Facing infrastructure and power concerns like Indonesia and Myanmar, the Federated States of Micronesia (FSM) have not been able to take advantage of reliable Internet or grid electricity. The PISCES Project brought both electricity and Internet connectivity to schools in FSM, in partnership with the Peace Corps and other volunteer organizations. In Malaysia, a civil service collation called the Sinar Project aims to increase government transparency and accountability, while involving citizens in politics and reporting. The Sinar portfolio of projects emphasizes open data APIs and databases for reporting bribes, infrastructure complaints, and other watchdog activities. A similar watchdog effort is sponsored by the Philippine’s Foundation for Media Alternatives, an organization that strives to raise awareness and motivate policy around electronic violence against women, or eVAW. 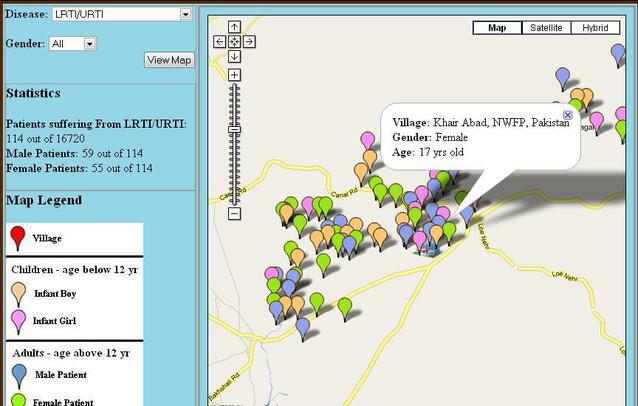 FMA promotes the use of ICT to advocate for eVAW-realted issues, aggregate eVAW statistics, and allow women to report eVAW incidents via a Ushahidi-based tracking tool. In India, the advocacy organization Point of View (POV) has begun the “Internet Rights Are Women’s Rights” campaign and workshop across five cities to bridge the gap between gender rights and Internet rights advocacy groups. 2014 supported projects are well under way! 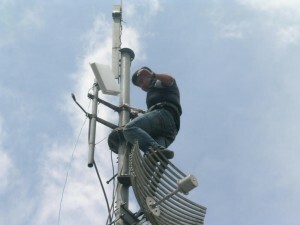 The project “Improving Internet Connectivity in Pacific Island countries with network coded TCP. Pacific Islands Chapter of the Internet Society” conducted in collaboration between PICISOC and the University of Auckland has started the testing of their solution in New Zealand and a deployment in Niue Island. During the next few months additional deployments will be undertaken to improve connectivity in the Pacific Islands. The Punjabi University, Patiala in India is making remarkable progress on their project to overcome the barriers that Sindhi Arabic and Devnagri scripts posed for researchers. They have completed the transliteration tables for both scripts and millions of words have being input into the database which is now on a beta version. The Cook Islands Maori Database has released an app, website and social media page that has raised attention from the local media and interest from the local government to preserve the language. The project is leaded by the Cook Islands Internet Action Group. CoralWatch is working with their partners in Indonesia on the first version of the app to improve citizen science monitoring of coral reefs in Indonesia. The app will be launched early next year with a follow-up launch in May in Indonesia. The University of Queensland leads the project. The Chiang-Rai MeshTV project, conducted in collaboration between intERLab/AIT, the Mirror Foundation and the THNIC Foundation, has been successfully deployed in this remote village in Thailand. 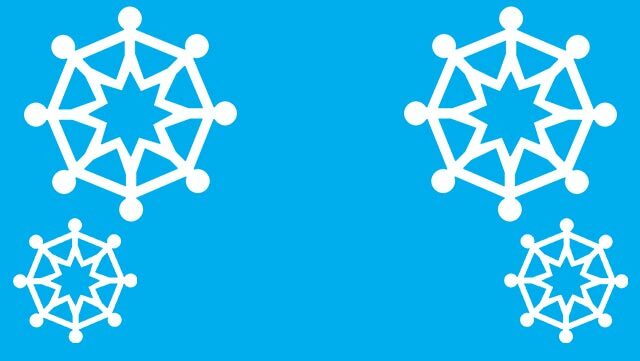 The Chiang-Rai community has now a fully operational mesh network that streams educational videos for learning development over a community wireless network, increasing their access to educational content fit for a low literacy context motivating families to support their kids to keep on their learning path. The Institute of Social Informatics and Technological Innovations (ISITI-CoERI) in Malaysia is tackling the challenge to preserve a code-signed language that the nomadic Penans use to community in the rainforest. Their efforts have allowed to document traditional knowledge from the elders and making it relevant for the younger generations. A scale-up grant allocated to iSolutions in Micronesia, following the deployment of the PISCES project support in 2013 to connect schools to the Internet in Chuuk, is now working to deploy a state wide solar server education hub where the connected schools can access educational content and share communications capabilities, lowering the cost by rationalizing the use of their limited broadband connections and using solar energy. Operation ASHA successes in India, have inspired this scale-up grant to support the deployment of an application to monitor TB in Cambodia and support the work that healthworkers do to contain the spread of the disease and provide adequate follow-up for patients. BAPSI has started the training and testing the development of Morse code-based applications to provide deaf-blind people with the opportunity to use mobile phones to better communicate with those around them that do not know sign-language. 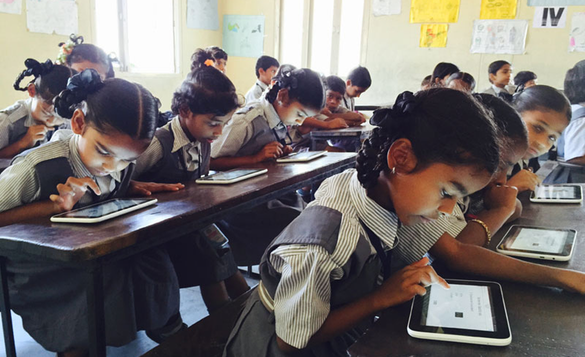 In August, for the first time since the ISIF program was established, we had the opportunity to visit 2 of the 2014 supported projects in India. The visits were not only informative about the challenging contexts that these 2 projects operate but were also inspiring, as what can be achieved when talented and highly committed professionals, put their knowledge and effort to good use, for the benefit of disadvantaged communities. The first visit was to the tea gardens around Tezpur in Assam, where Adivasi workers are getting a better understanding of their health rights according to the law in India, what to do when their rights have not been respected and the importance of speak-up, to show evidence that there are not isolated cases but a pattern of behavior that is possible to change. A simple string of numbers sent via SMS is converted into a health rights abuse report, once the numbers are decoded on the database and the information is verified. A follow-up call can mean the difference between neglect and the fact that there are organizations that care and there are ways to get help. Communities feel empowered to claim their rights: from the free supply of folic acid and iron, to the subsidies the government has assigned to them to encourage a safer baby delivery in a health facility. The second visit was to the Helen Keller Institute in Mumbai, where the BAPSI team was running their first training on morse code and focus group with deaf-blind people and support specialists. The challenges that the deaf-blind community face comes accompanied by the lack of devices and tools to properly address their needs, as most of the devices available for blind or deaf people do not provide a good service for the deaf-blind. The isolation they have to over come is a big as the challenges the professionals that work with them and their families have to overcome to be able to communicate simple basic needs and emotions, as well as to transfer knowledge to help them integrate to society. BAPSI is experimenting with a series of software developments that make use of vibration to communicate, exploring opportunities that technology allows today. In March 2014, ISIF Asia in collaboration with the DECI-2 project, announces that three of its 2014 grant recipients were selected to receive additional mentoring in Utilization Focused Evaluation (UFE) and Research Communication. 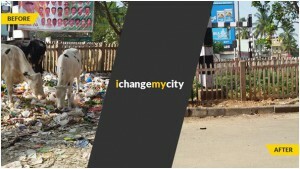 This partnership aims to find better ways to design and implement both evaluation and communications strategies for Internet Development projects, so that the resources used, the data collected, the analysis done, and the lessons learned better serve the needs of each of the project teams and the implementing organizations selected, instead of answering exclusively to donor-driven requests and rigid evaluation frameworks. The projects selected are: Maori Database (Cook Islands); Using Mobile Application and Mapping Platform to Increase Accountability in Delivery of Maternal Health Services for Tea Garden Workers in Assam (India) and LTT – Link Tuberculosis with Technology (Cambodia). The mentoring is helping them to gain a deeper understanding of the work they are undertaking, to more effectively communicate their findings, and most importantly, to appropriate the knowledge traditionally reserved to external evaluators about their project activities. Mentoring has been provided throughout the lifecycle of the selected projects, using a combination of online tools, coaching, and face-to-face interactions by a team of regional experts from the Asia Pacific region: Dr. Sonal Zaveri, leading the UFE mentoring; and Dr. Vira Ramelan, leading the Research Communication mentoring. Dr. Ricardo Ramirez and Dal Broadhead, provide oversight and support the regional mentors at the international level. 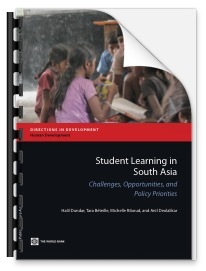 DECI-2 started in July 2012 and is a four-year project, building on lessons learned during DECI-1. Selected partners from the IDRC Information and Networks Program (I&N) will receive mentoring that is targeted and scheduled to match each project’s needs and work plans. The project teams receive mentoring in Utilization Focused Evaluation (UFE), an approach to evaluation that emphasizes the use of evaluations; and in Research Communication, which will assist teams to develop and implement their communication strategies. During DECI-2 the mentors will measure the combined effect of UFE and Research Communication to enhance learning culture within projects, with a focus on communication planning, to maximize the reach and use of the research outcomes. For more information about DECI-2, please visit http://evaluationandcommunicationinpractice.ca. As part of the mentoring program, the project teams were invited to the APNIC38 meeting in Brisbane, for a face-to-face workshop with the mentors and some one-on-one coaching. In addition to this, the mentors visited Assam and Rarotonga, for more one-on-one coaching sessions. For next year, a visit to the project in Cambodia is scheduled. The ISIF Asia program is currently undergoing an external evaluation process commissioned by IDRC as part of the Seed Alliance activities. A series of interviews and data analysis have been carried out and an evaluation report will be presented to IDRC before the end of the year. We see this as a great opportunity to learn about our work and plan for the future. 2014 was also the year to launch the Discover blog, and 50 articles later, this effort to highlight the talent, skills and commitment that the Asia Pacific region has to offer, continues to raise attention to the vibrant community we serve, their needs and their innovative approaches to solve development problems using the Internet for the benefit of their communities. We encourage you to share your stories. It has been a busy year, and we look forward for new challenges during 2015!